Charles Greene & associate step outside. Greene, Anthony's attorney, says they're taking a break. So Greene wants to spend an entire day trying to destroy Zenaida. Casey has already spent 3 years doing that, and it just isn't enough. The evil within Casey will never end. May GOD give Zenaida the strength to endure and to walk away unscathed. My heart goes out to her. This site infuriates me all over again. I need karma to be a little quicker. 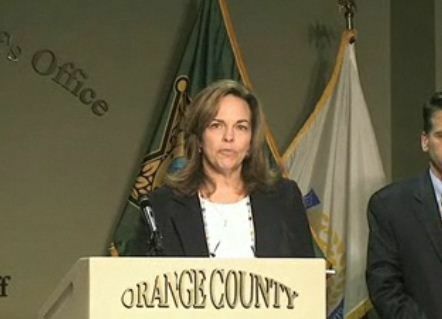 The woman suing Casey Anthony will be on the hot seat this week. She is scheduled to sit down and answer questions from Casey's lawyer on Tuesday. Gonzalez attorney Keith Mitnik denied that accusation. Court documents filed a couple weeks ago ask that Gonzalez be forced to answer questions about her income over the last three years. Anthony's lawyers also want to know if Gonzalez has seen a psychiatrist, and also want to know exactly how much money Gonzalez is asking for in the case. How insulting can " Anthony's lawyers" get ??? It's clear to anybody with half a brain that the woman's good name and reputation were forever slandered by Casey Anthony and she suffered dearly. Enough, already. Casey Anthony will be big news early in the new year. 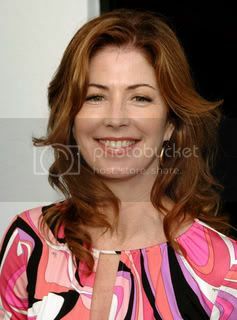 “Body of Proof,” the ABC drama starring Dana Delany, will do a ripped-from-the-headlines plot on Jan. 3, Entertainment Weekly reports. It’s the old “Law & Order” approach, and when a drama goes that route, it can tell the story however it likes and not worry about the people involved in the real case. Pretty good choice, as far as looks go, imo. Let's hope the substance is equally as good. IMO we should never let it go. There are far too many people involved who "let it go" a long time ago. Maybe if just one person would not have let it go, this case would have had a different outcome. We remember you, Caylee. Always. To quote Jeff Ashton's dedication page in his wonderful book: "For Caylee, so that no one forgets "
Our own personal dart board for today. I haven't watched this yet,because both of these numbskulls together is to much for me today. I steeled myself and watched. It wasn't as long as it could have been - was surprised but glad, as my digestion was in jeopardy. My overall impression at the very end was Baez is Baez but somehow Geraldo looked like such a very small man. He was elf-like, actually. And he didn't look very happy. LOL Thank God the segment was mercifully short. Jeff Ashton, a prosecutor in the Casey Anthony trial, returns to the site of jury selection next week as part of his book tour. Ashton will be in Clearwater at 7 p.m. Dec. 2 at the Barnes & Noble, 23654 U.S. 19 N., to promote his book "Imperfect Justice: Prosecuting Casey Anthony," according to the publisher's website. I'm going to try my darndest(?) to be there. I hate the thought of being in the same county with those that are the reason for Jeff's book, but for Caylee and for the opportunity to thank Jeff in person, it will be worth it. This guy comes up with excuses for the lowest of the low, all the while placing blame on others, instead of the cretins that need to be held responsible. Page created in 6.121 seconds with 21 queries.